Nouvelles Pièces Courtes is a collection of short contemporary dance pieces, created in May 2017 by world-renowned French choreographer Philippe Decouflé and his Compagnie DCA. For Nouvelles Pièces Courtes, Begoña Garcia-Navas positioned ten Dalis 860 Cyclight LED battens in the grid and a further ten at stage level, with a minimum distance from the back wall of 40/50cm depending on available space at each venue. From these positions the Dalis were able to cover the 6.5m tall drop with smooth, even colour. Begoña Garcia-Navas says her inspiration for the cyclorama ambiance came from the paintings of Mark Rothko, from which she developed a theme based on two-coloured backgrounds. 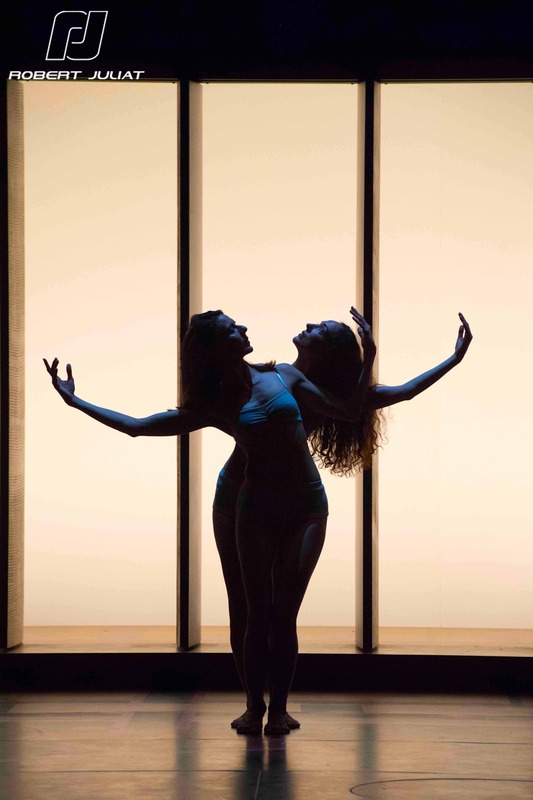 Using the Dalis fixtures, she created a series of dramatic imagery with the dancers’ bodies framed as stunning silhouettes, formed by the use of strong backlight, against perfectly smooth colours that range from pastel to saturated, solid or graduated. She selected her Dalis fixtures carefully after trying out several options. “Initially we used some architectural LED fixtures, and then tried around 60 tungsten fixtures with colour gel filters, but I was not satisfied with the result,” says Begoña. “I decided to compare some LED battens and, over several tests, was finally convinced that the Robert Juliat Dalis was the one I wanted. Nouvelles Pièces Courtes toured France throughout 2017 before returning to the Théâtre National de Chaillot, Paris in April 2018. The production is currently in Japan, where the Robert Juliat equipment has been supplied by Robert Juliat’s distributor, Sogo Butai, overseen by Kohei Nishida. The tour started at the Saitama Arts Theater before moving to the Kitakyushu Performing Arts Center and Biwako Hall, from where Nouvelles Pièces Courtes will travel to Brazil and Russia later this year.